A lot of people think about what to do, but have you ever thought about how to do it? Maybe you want to cultivate maintainable solutions to difficult development problems worldwide. Sustainable development meets the needs of the present without compromising the needs of future generations. As a part of this minor, you will learn to think critically about the environmental, social and economic pressures on the peoples and places of the world, in the context of your major. Why study sustainable development at Gordon?  As a part of one of the few sustainable development programs at Christian colleges, Gordon students are able to better understand how their faith compels them to holistic justice worldwide. Faculty adept in a variety of fields will help guide you through the minor, assuring that you will be prepared to enter into critical conversations and diverse careers. What careers can I pursue with a sustainable development minor? Sustainable development students take the opportunity to study abroad as a platform for serious insight into the world of development. As a part of an approved internship, students can work for international development organizations like Oxfam, or small, start-up development firms in a country of interest. You can also participate in the wide variety of environmentally-friendly student-led activities at Gordon, like farm outreach and the Advocates for Sustainable Development club. Studying abroad is the perfect opportunity to intern with a program that is doing sustainable development, anywhere from Costa Rica to New Zealand. Many students who minor in sustainable development also study sociology, social work, biology or international affairs.